All ingame-vehicles must be registered before arriving to game! 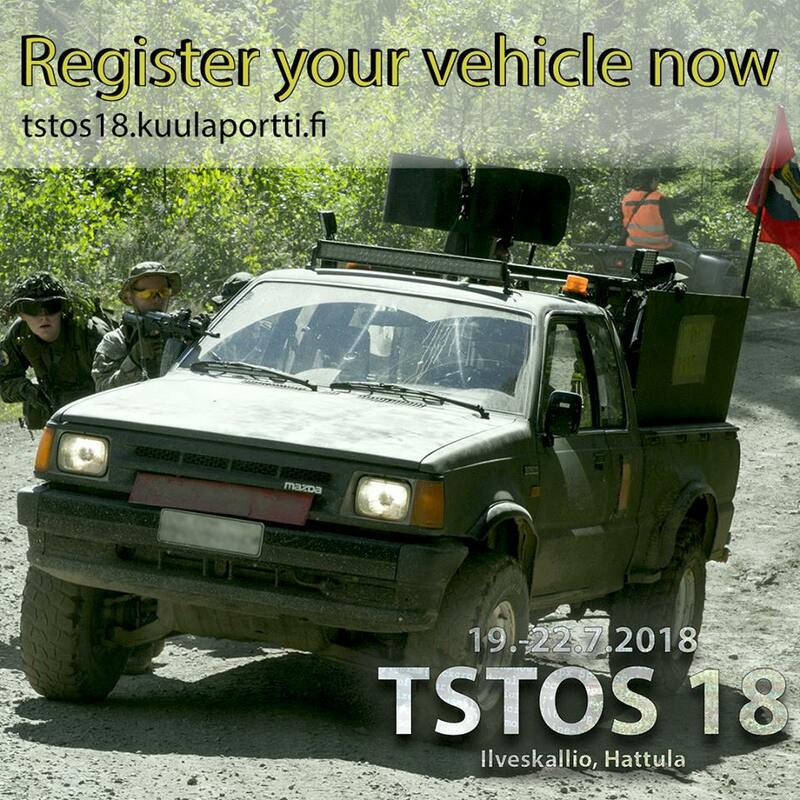 To register, sign in with your kuulaportti -account in https://tstos18.kuulaportti.fi/ Add your vehicles info to the "Vehicles" -page. Note that you need a photo of your car. In the game Area, your vehicle will be checked on Thursday 19.7. by the gamemaster at your factions main base. Uusimaa 14.30-15.30, Pirkanmaa 15.45-16.45. Civilians and everyone else 17.00-17.30 at Tiirikylä. Car in the picture is good example what your car should look like with markings if you are in Uusimaa/Pirkanmaa faction. For civilians/other factions, the car can look normal but the markings (green/white) must be cleary visible!